MODERN TECHNOLOGY BUILT OLD FASHIONED TOUGH. 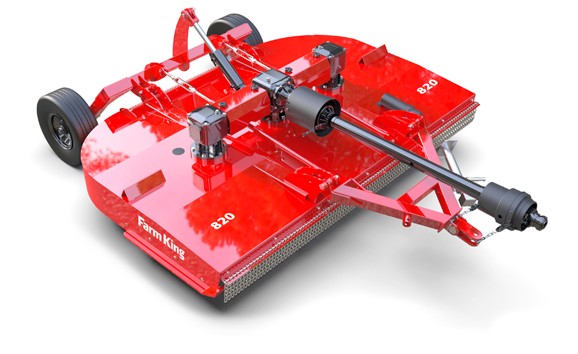 THE NEW TWIN SPINDLE ROTARY CUTTERS ARE SIMPLE ROBUST MACHINES THAT ARE DESIGNED FOR A MINIMUM 40 HP TRACTOR TO HANDLE ALL YOUR ROUGH CUT NEEDS. This is a clean at top design that boasts a strong 120 and 90 HP gearbox with a 5 year warranty. With standard safety chains, standard stump jumper and replaceable skid shoes these machines are ready to work. Extremely high blade speeds and a 2" cutting capacity make these very effective machines that can take the abuse it needs to take and keep on working hard for you. Transport Deck Height 9" 10"
Transport Deck Height 10" 10" 18"